For new Philo subscribers, Groupon offers a Philo Live TV Streaming 1-Month Subscription for free. That's tied with our expired mention from four days ago at a savings of up to $20 and the best offer we could find. It applies to either the 44-channel or 57-channel subscriptions, which include some popular networks like A&E, AMC, Comedy Central, and VH1. Converse takes an extra 30% off select items via coupon code "SPRING30". Plus, Converse members bag free shipping. (Not a member? It's free to join.) Some exclusions may apply. Deal ends April 19. If you're going to the store to buy a popular item on Black Friday, you'll need a solid plan and a big dose of patience. Additional contributions by Louis Ramirez. Navigating through stores on Black Friday can be a chaotic experience at best, and a nightmare at worst. But those Black Friday doorbuster deals can save you hundreds of dollars. Do you really have to elbow your way through the crowds to get one? Not quite. You shouldn't need to camp out in front of the store for weeks on end, and you might not even have to head to the store. Read on for our complete guide on how to score a doorbuster deal on Black Friday. So what is a doorbuster sale? Doorbusters are heavily marked down items that retailers use to lure shoppers to a sale. In the past, doorbusters were strictly in-store deals, meant to bring customers physically inside a store. Most doorbusters are offered for a limited time — like the first hour after a store opens its doors — causing excited customers to line up outside in anticipation. Doorbusters are heavily marked down items that retailers use to lure shoppers to a sale. These days, plenty of online doorbusters are available. However, the deals' primary purpose is still to lure shoppers in, so they'll do all their holiday shopping in one place. While some doorbuster deals can be truly fantastic finds, many are just off-brand items. A $10 waffle maker may sound great at 5 am on Black Friday, but don't expect it to last forever. Don't be blinded by low Black Friday prices; you still get what you pay for. Want to increase your chances of snagging a great Black Friday doorbuster? Put together a shopping strategy. Often, you'll have to rise early (or stay up late), wait in long lines, and even skip Thanksgiving dinner. Check out our tips below for everything you need to know. Stores aren't shy about showcasing planned doorbusters in their Black Friday ads. Sure, they might withhold details on truly stellar deals, but you can expect to get a good bit of information on the majority of these offers. This means you should be able to nail down your shopping plan with ease. SEE ALSO: When Do the Black Friday Ads Come Out in 2018? However, one thing to note is that sometimes manufacturers will release a Black Friday–exclusive model. In these cases, it's important to find a model number if you can, so you can determine if it's as good a deal as it seems. Once you've added doorbusters to your shopping list, it's time to think about time. Unfortunately, figuring out when to get to the store can be difficult. Typically, you should arrive about two hours before the doors open to maximize your odds. However, people have been known to show up days or even weeks before Black Friday. Camping out doesn't seem to be as common these days. 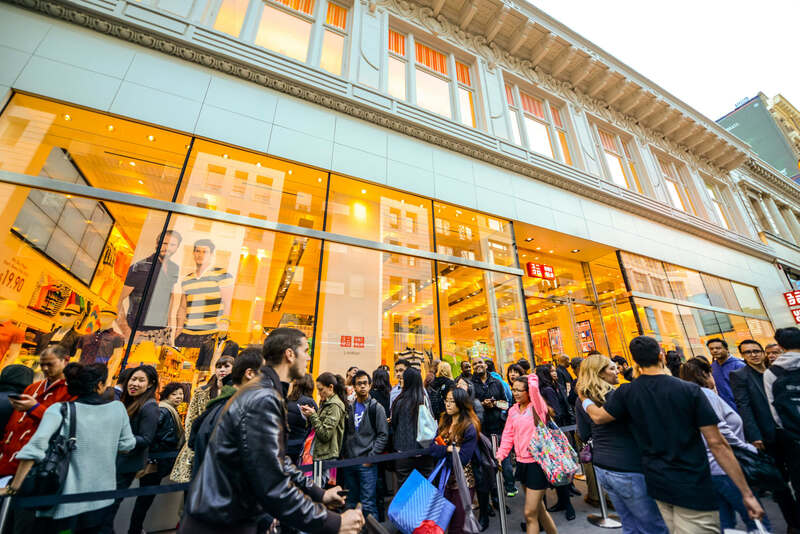 Still, we recommend cruising by your favorite store early to see if a line is forming. It might be disappointing to see an unruly line forming days before Black Friday, but this is information you can use. Securing a place in line doesn't guarantee you'll snag the item you want. You could be one of the first 20 customers waiting, but if there's a limited quantity of the doorbuster you're eyeing — as is often the case — you could still miss out. Stores may only have a small number in stock. Unless you're one of the first few folks in line, don't assume you're leaving with that doorbuster in hand. SEE ALSO: Thanksgiving & Black Friday 2018 Store Hours: Know When to Go! Many retailers are offering the bulk of their doorbusters both online and in-store. How can you tell if a doorbuster is in-store only? Check the Black Friday ads! Many Black Friday ads will note whether a product is available online, in-store, or both. If you do your research beforehand, odds are you'll have a good grasp of whether you'll need to venture in-store at all. Some doorbusters are truly excellent deals, but overall, doorbuster deals are just about the hype. They're meant to bring shoppers into the store, first and foremost. And don't think you're escaping the hype by shopping online — the competition doesn't end in the virtual world. SEE ALSO: Best Black Friday Ads 2018: Inside Info on All the Doorbusters! Online retailers will try to upsell you as much as their brick-and-mortar counterparts, whether it's for an expensive accessory or an extended warranty. Remember that credit cards often offer warranties on big-ticket purchases, so check out the benefits of your cards before you shop. Where Should YOU Shop on Black Friday? Now that we've covered how to get a Black Friday doorbuster, it should be easier to craft your shopping strategy. But, if you still aren't quite sure whether you need to brave the crowds in-store on Black Friday, check out the helpful chart below. Readers, will you shop in-store for Black Friday doorbusters? Do you have any tips for your fellow shoppers? Sound off in the comments below!